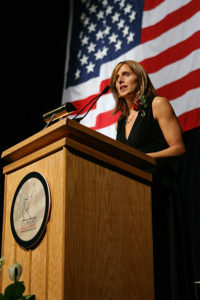 Cammi Granato was born on March 25, 1971 just outside of Chicago. She was one of six children, among them brother Tony, who went on to enjoy a stellar NHL playing and coaching career. Granato played on all boys’ teams until the age of sixteen. She chose not to play in her last two years of high school. 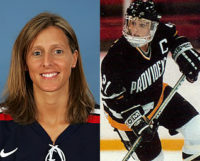 She returned to the ice in 1989 when Cammi was offered a hockey scholarship at Providence College. In her inaugural season, she was named Freshman Player of the Year, followed by 3 consecutive ECAC Women’s Hockey Player of the Year titles. In 1992 and 1993, Granato led the Friars to league titles. In 93 college games, she scored 135 goals and assisted on 110 others for an astounding 245 points. 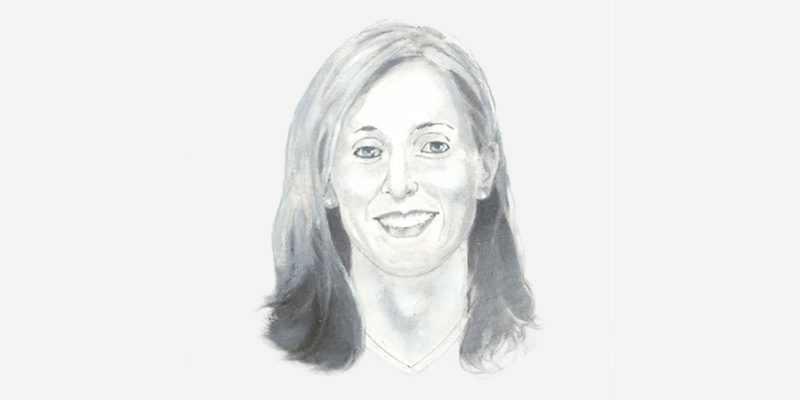 While playing with the Lady Friars, Cammi became a founding member of the United States Women’s National Team, helping them to a silver medal at the inaugural Women’s World Championships in 1990. She would go on to become the all-time leading scorer for the U.S. Women’s Hockey Team with 343 points in 205 games. After graduating from Providence and without any NCAA eligibility remaining, Cammi moved to Montreal to earn her masters degree in sports administration at Concordia University. In 123 games there, Granato scored 178 goals and 148 assists for 326 points, and was instrumental in Concordia capturing three consecutive provincial championships. In 1996, she was named USA Women’s Player of the Year. When women’s hockey became an official Olympic Sport at the 1998 Winter Games in Nagano, Japan, Cammi devoted herself to the U.S. Women’s National Team. Named team captain, Cammi and her American teammates captured Olympic gold. Cammi was named flagbearer at the closing ceremonies at those Olympics. 2002 saw Cammi captain Team USA at the Winter Olympics in Salt Lake City where they took the silver medal. Her international career concluded as the all-time leading scorer in women’s international hockey having played 54 games, scoring 54 goals and 42 assists for 96 points. During that time, teams on which she played won an Olympic gold medal, Olympic silver, one World Championship and eight silver medals in World Championship tournaments. In 2007, Cammi was awarded the Lester Patrick Trophy for her contributions to hockey in the USA. The next year, Cammi, along with Geraldine Heaney and Angela James, became the first women inducted into the IIHF Hall of Fame. That same year, Granato also made history by being the first female inducted into the U.S. Hockey Hall of Fame. In 2010, Cammi Granato made history again by becoming the first woman inducted into the International Hockey Hall of Fame in Toronto. She is married to former NHL star Ray Ferraro.